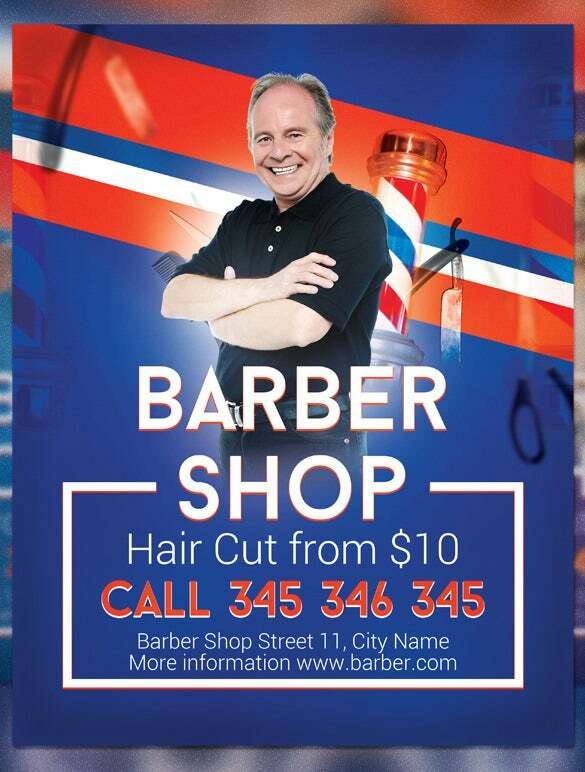 Let all those prospective clients know that your barbershop is open for business with a flyer that tells them everything that they need to know. 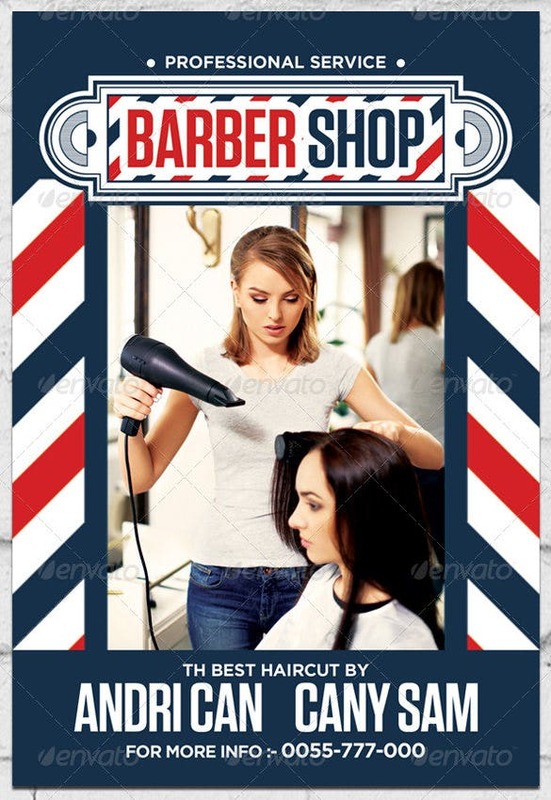 Provide information regarding business hours and special offers with the help of these arresting and easy to use The Barber Shop The Barber Shop flyer designs and postcard flyer templates, which you can either print out or spread over the internet. 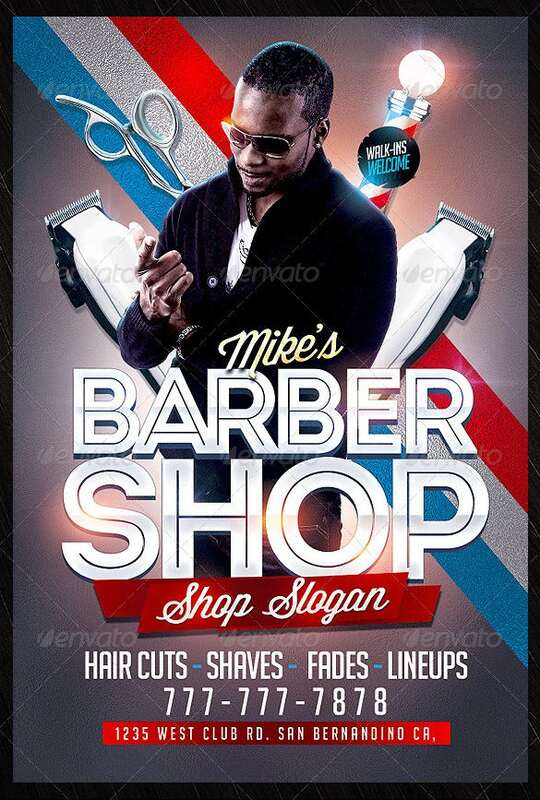 This barber shop poster template is available in two PSD file formats, If you are interested in party to market your barber shop, then this can be extremely helpful. The file is properly layered, simply customize with your pics and content. 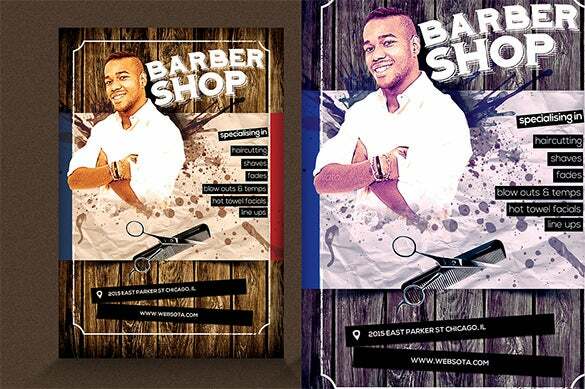 If you want to market your barber shop then this barbershop flyer template free is what you should opt for. Customize as per your needs, edit with preferred colors, use your promotional pic and add your tagline too, also mention the charges to attract people. 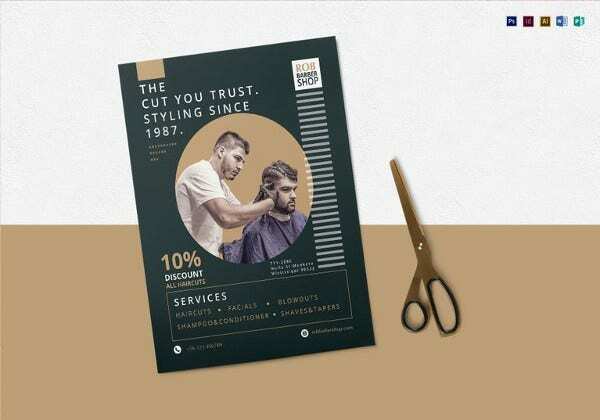 This template consists of 2 barbershop flyer psd free, for promoting your barber shop among haircut and salon enthusiasts. 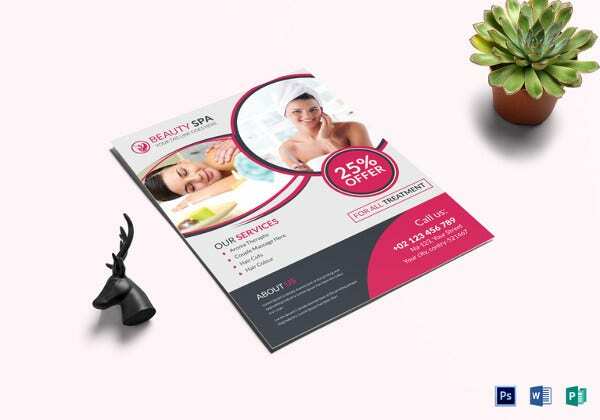 It is available in very high quality, hence, no matter how big the poster or the flyer is, the quality won’t degrade. 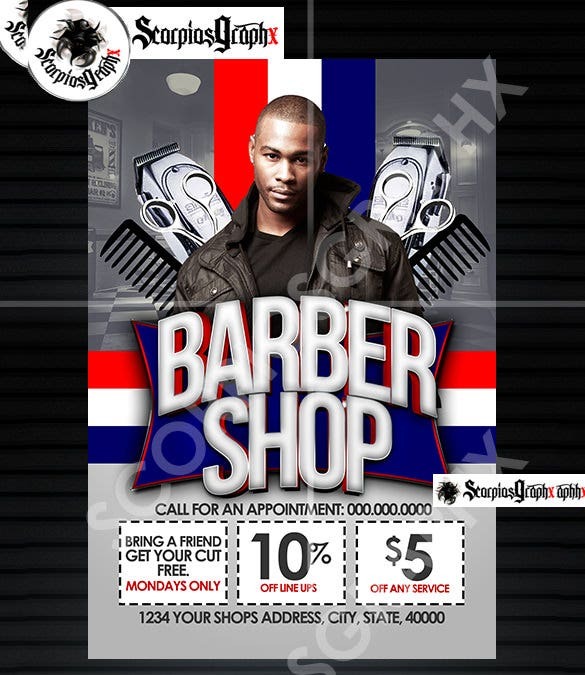 Opt for this barber flyer templates free download, and see how your in the barber shop increases. 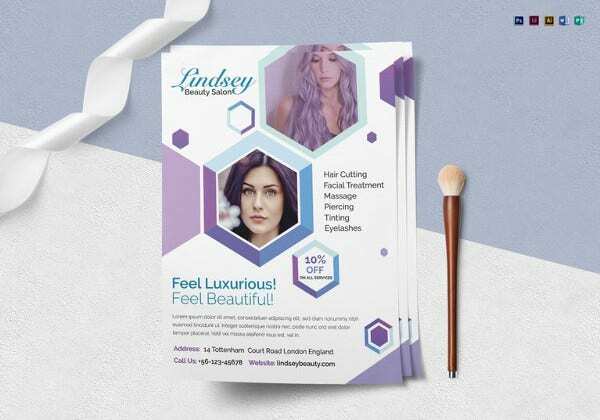 Customize the template, use the model present or replace with your own pic, edit the text with your details containing the special offers and use. 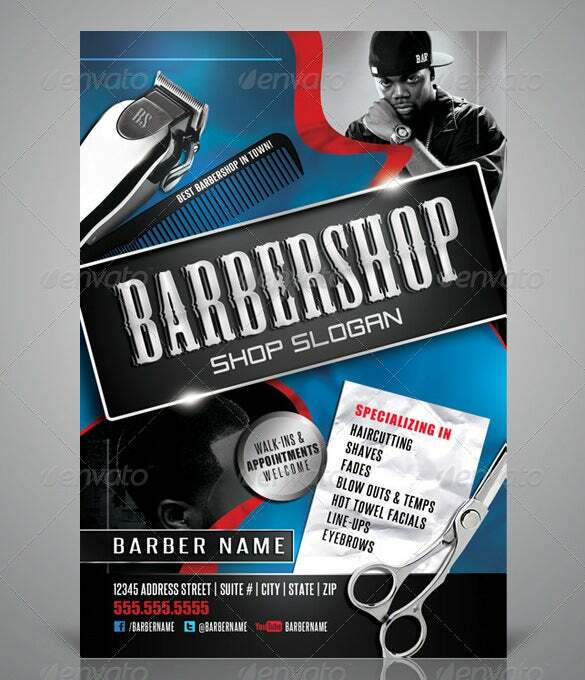 This is an extremely stylish free barber shop flyer template, it has image detailing of comb, scissors and hair sprays. You can customize as per your wish, replace the text with your contact details and mention the types of services you offer and use. 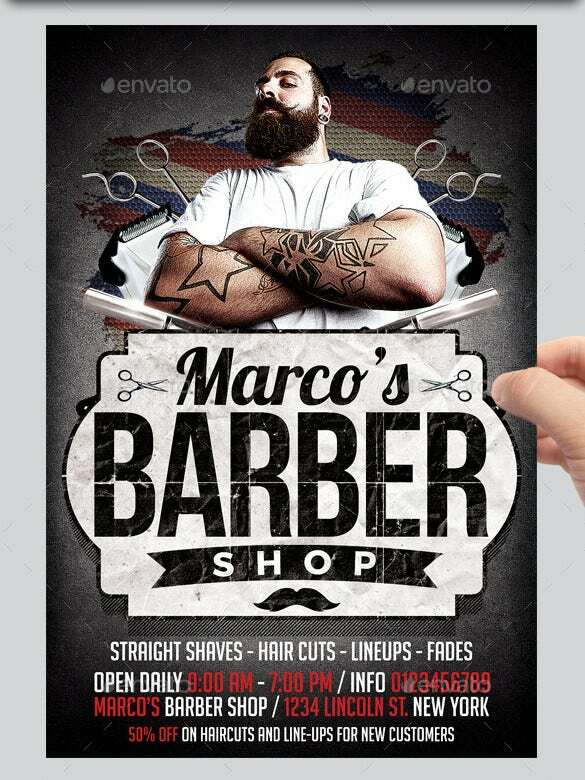 This free barber shop template can be extremely effective to boost your salon business, simply download it and customize with your details. Replace the text portion with your contact number and address, mention the offers you are giving and use it. 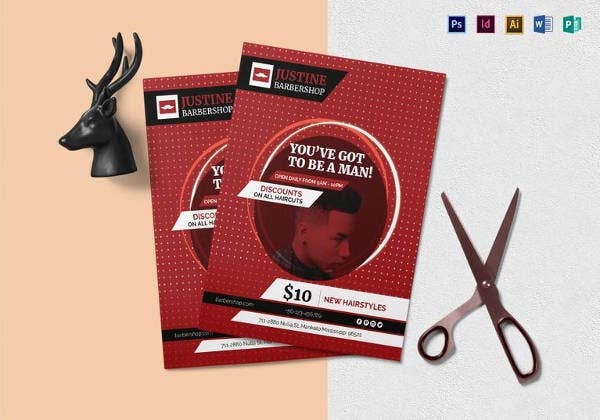 This contains 2 barbershop flyer template psd files, it looks extremely professional and if used as a marketing for increasing your business in the hair salon, might prove to be extremely beneficial. Customize, edit the text, change colors and use. 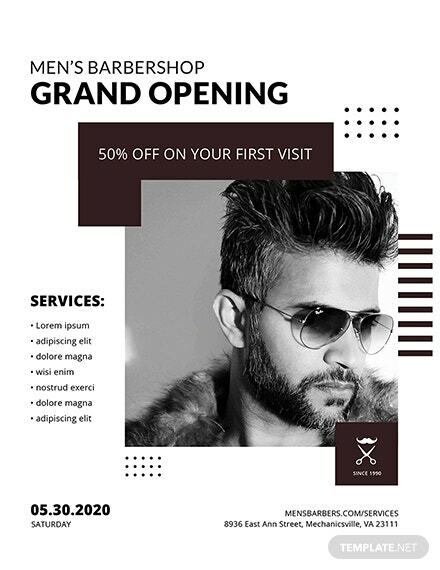 If you are opening a hair salon then you can use this barber shop grand opening flyer template for making posters and flyers to grab attention of every potential customer. 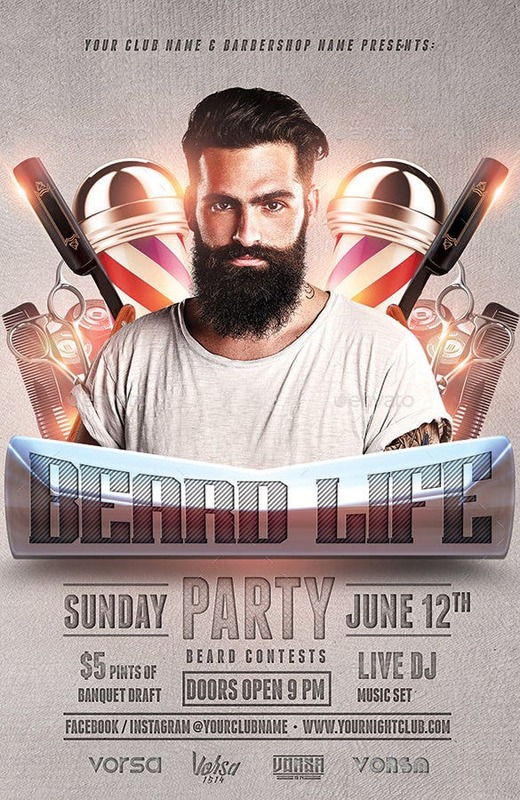 Download this high quality template and customize with your details and use. 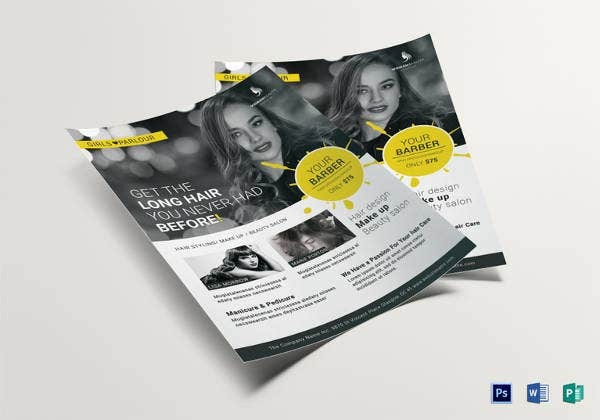 If you own a hair salon, and want to create flyers and posters for connecting to the customers, then this template can be really useful. 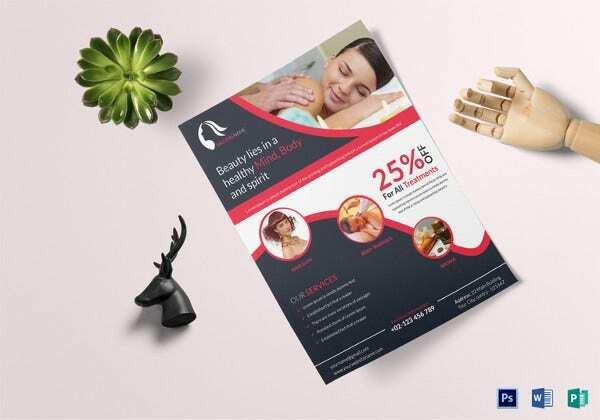 Edit the text and provide your contact and address details, mention your services and add also mention the offers and use. 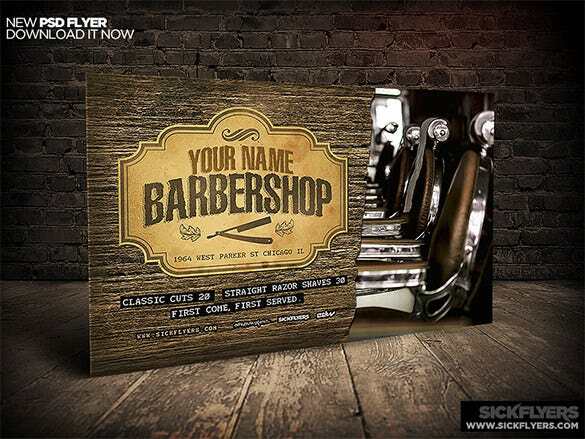 This barber shop flyer template consists of two print ready PSD fully layered files, Simply customize and modify the colors and background if needed, replace the text and add your details. Print this high quality template and use. 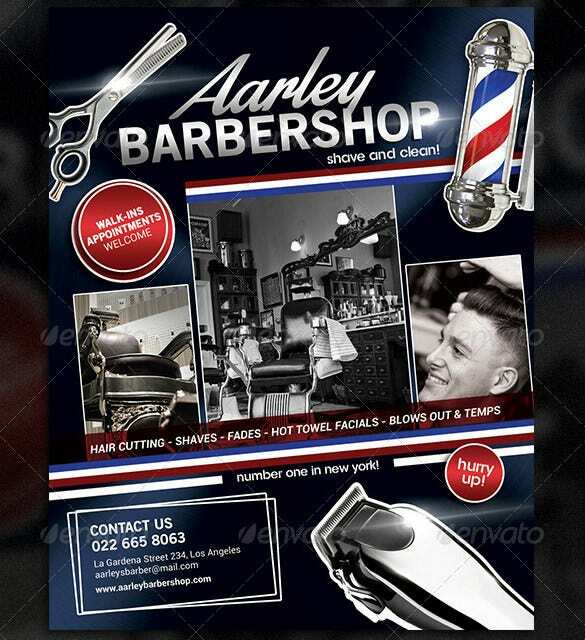 If you are looking for marketing tools to advertise your barber shop, then you can surely pick up this barber shop flyer template and use it for making flyers and posters. 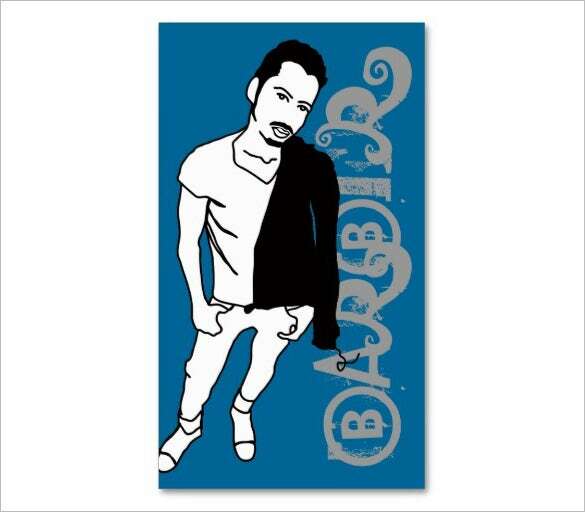 This quality template is totally customizable, Add your details and use. 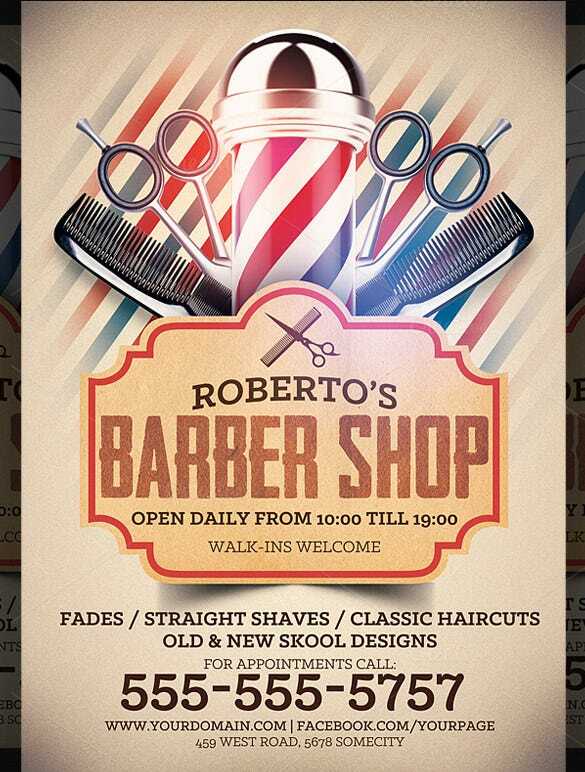 The stylish barber shop flyer template can be a very effective advertising tool. It is available in very high quality, the text part is completely editable. 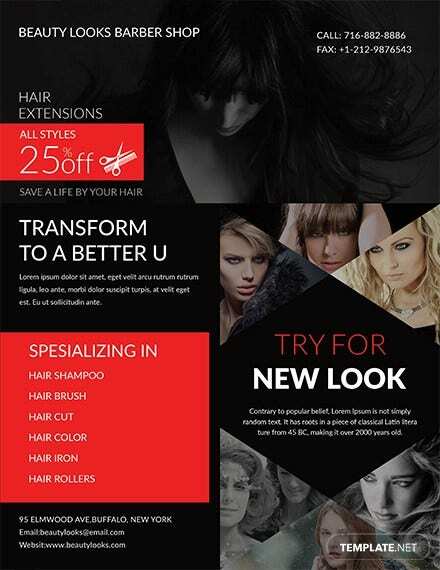 Add your contact details, mention the specialized services and offers of your salon and use. 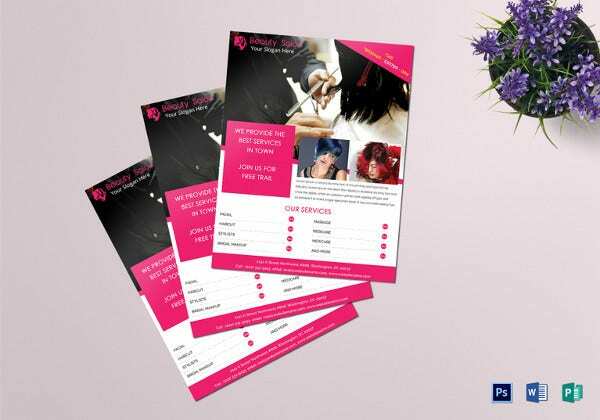 These flyers can create exactly the impression that you want to give out, one of a confident and professional business concern which is open for business. 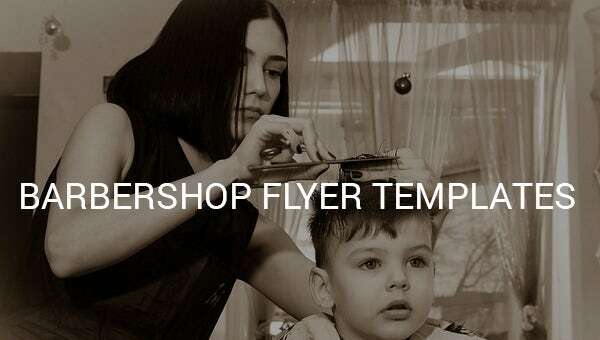 Download the one you want and customize it as needed to create the perfect barbershop flyer. 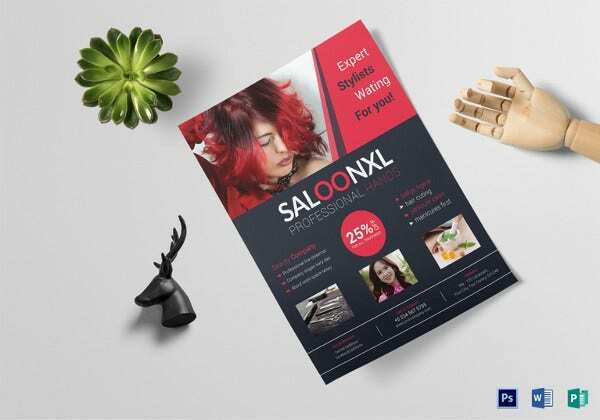 If you own a hair salon yourself, you should apply good marketing strategy to gather maximum crowd, one such marketing tool is creating flyers and distributing. 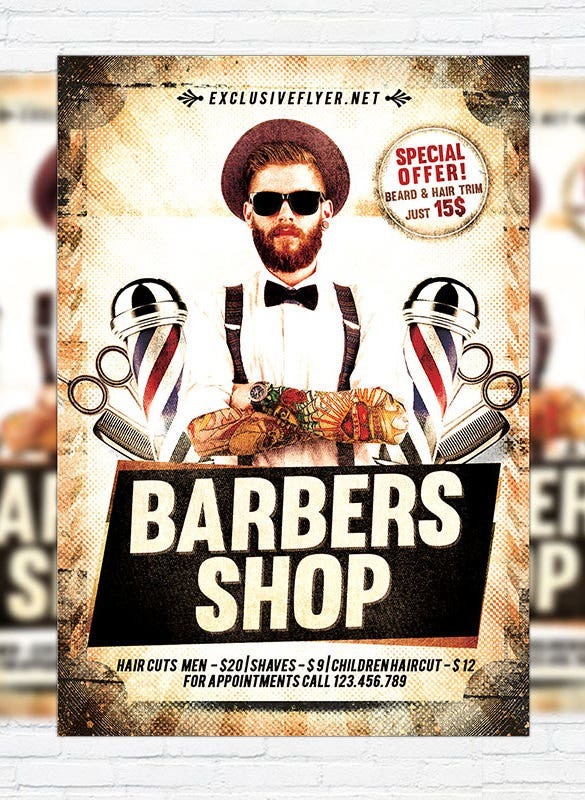 In our collection you can find numerous high quality barber shop flyer templates, download them edit by mentioning your speciality and print them as flyer or poster and use.